Jüri Sillart | Based on truth (and lies). Professor Jüri Sillart, a well-known film-maker, cameraman, director, teacher and head of the film department of Tallinn University Baltic Film and Media School, passed away unexpectedly on September 10th. Jüri Sillart was born in Tallinn on May 29, 1943. 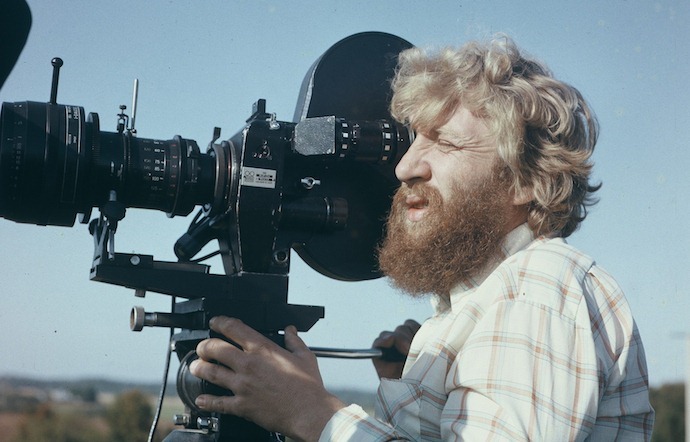 He produced very unusual and interesting artistic visuals in the 1970’s and 1980’s and was compared to such famous cameramen as Tarkovski’s Georg Rerberg. He produced 12 major films. The best known and most valued of these, were “Surma hinda küsi surnutelt” (1977), “Hukkunud Alpinisti hotell” (1979), “Metskannikesed” (1980), “Karge meri” (1981) and “Nipernaadi” (1983). Jüri Sillart worked with all the top directors of his time, such as Grigori Kromanov, Kaljo Kiisk, Leida Laius, Arvo Kruusement. Professor Sillart was appointed Head of the Chair of Film and Video at Tallinn Pedagogical University in 2004. He was Head of the bachelor and master curricula of Film Arts in Tallinn University Baltic Film and Media School since 2006. This entry was posted in Je fais du cinema and tagged hukkunud alpinisti hotell, Jüri Sillart, operator, sadness. Bookmark the permalink.